Elizabeth Dorn Lublin grew up in Dayton, OH, and first traveled to Japan for a summer home stay through the American Field Service while in high school. She spent a semester abroad at Kansai University of Foreign Studies in Osaka during her junior year in college and, while in graduate school, attended a summer language program at Tokyo's International Christian University, completed the ten-month intensive course at the Inter-University Center for Japanese Language Studies in Yokohama, and was a research affiliate at Japan Women's University. Prior to starting graduate studies, she taught English in junior high schools in Tochigi for one year through the Japan Exchange and Teaching Program. Altogether, she spent roughly seven years in Japan before joining the faculty at Wayne State in 2001. The highlight of those years was an audience with the Emperor and Empress. This privilege came with Lublin's receipt of a Crown Prince Akihito Scholarship. While drinking barley tea and eating cherries with the imperial couple remain but a memory, she still has the two cigarettes embossed in gold with the chrysanthemum seal that she received during the visit. 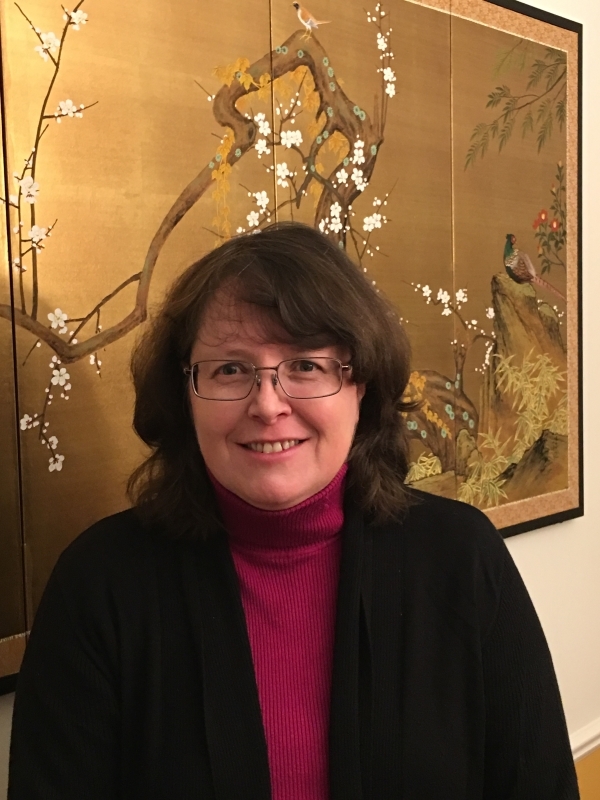 Lublin's first book, Reforming Japan: The Woman’s Christian Temperance Union in the Meiji Period, provides both an organizational history of the WCTU and a topical analysis of key activities members undertook. Throughout both parts, she contests the received interpretation that women were totally excluded from the world of politics by a state that attempted to dictate their “proper” roles. She also challenges the notion that Christians compromised their beliefs and principles while trying to prove their allegiance and patriotism, and disputes the long dominant understanding of state-citizen ties as being strictly hierarchical. Lublin’s second book project, “King Tobacco in Meiji Japan,” explores the development of the Japanese tobacco industry in the late 19th and early 20th centuries. Here she examines the modernization of the industry following the introduction of cigarettes, the nature of Japan’s smoking culture, the factors that led the state to impose a monopoly on production and sales in 1904, the evolution of tobacco-related advertising, and the impact of cigarette ads on the world of advertising as a whole. She also delves into the efforts of reformers, mostly Christian, to ban smoking, along with the arguments that they made to achieve that goal. More broadly, with this second project, Lublin considers the role tobacco played in the political, economic, and cultural formation of the modern Japanese nation state. "The Woman's Christian Temperance Union, Monogamy, and Defining 'Modern' for Women and Japan." In Christianity and the Modern Woman in East Asia, ed. Garrett L. Washington, 109-133. Leiden, Netherlands: Brill, 2018. "Ichikawa Fusae (1893-1981)," "Senninbari and 'Comfort Bags,'" "Women during WWII: Kokubo Fujinkai and Aikoku Fujinkai," and "Yosano Akiko *1878-1942." In Japan at War: An Encyclopedia, ed., Louis G Perez. Santa Barbara, CA: ABC-CLIO, 2013. Reforming Japan: The Woman's Christian Temperance Union in the Meiji Period. Asian Religions and Society Series. Vancouver: University of British Columbia Press, 2010. “Mary Clement Leavitt, Japan, and the Transnationalization of the World WCTU.” In Transnational Women’s Activism in Historical Perspective, ed. Erika K. Kuhlman and Kimberly Jensen, 13-36. History of International Relations, Diplomacy and Intelligence Series, vol. 14. Dordrecht, Netherlands: Republic of Letters Publishing, 2010. “Wearing the White Ribbon of Reform and the Banner of Civic Duty: Yajima Kajiko and the Japan Woman’s Christian Temperance Union in the Meiji Period.” U.S.-Japan Women’s Journal, nos. 30-31 (2006): 60-79. “Crusading against Prostitution: The Woman’s Christian Temperance Union in Meiji Japan.” Japanese Religions29, nos. 1-2 (January 2004): 29-43. “Selected Bibliography of Japanese-Language Sources on Drinking, the Woman’s Christian Temperance Union, and Reform Activism in Japan.” The Social History of Alcohol Review 16, nos. 1-4 (Fall 2001/Spring 2002): 335-43. “Pollution Relief and the Japan Woman’s Christian Temperance Union.” Asian Cultural Studies 27 (2001): 49-58.